Raised by preppers, survivalist and FBI agent Mercy Kilpatrick has a deep-rooted need for a safe place. Her getaway in the Cascade Foothills is her secret. But when skeletal remains are unearthed—those of a murdered man linked to a notorious heist—Mercy realizes she isn’t the only one with something to hide. Thirty years ago, an armored-car robbery turned deadly. The mastermind was captured. Four conspirators vanished with a fortune. One of them, it appears, never made it out of the woods alive. 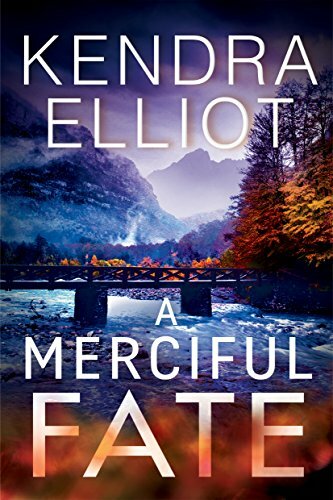 For Mercy and her fiancé, Police Chief Truman Daly, their investigation opens old wounds in Eagle’s Nest that cut deeper than they imagined. Especially when a reckless tabloid reporter draws fresh blood. It’s clear to Mercy that somebody in this close-knit community is not who they seem to be. Some are still shattered by the heist. Some still have reason to be afraid. But which one will kill again and again to hide three decades of secrets? To land this case, it’s up to Mercy to unmask a familiar stranger before someone else dies.